If you shop online, you may notice something extra when you check out. 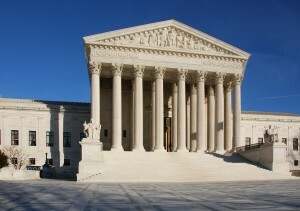 The United States Supreme Court made the decision for states to be able to charge online sales tax in a 5 to 4 ruling Thursday. Business owners are happy with the decision, saying it’s long overdue. “I’m surprised this decision wouldn’t have been made a decade ago, I mean to me it’s a no-brainer,” says Joseph Gidman, co-owner of Tea and Spice Market in southwest Missouri’s Springfield. Gidman is reacting to online retailers that have been dodging sales tax for years. “It has been a very unfair advantage that the online community gets these breaks and so many people have gone to online then the responsibility to collect sales tax and fuel the local government has been put on the brick and mortars that are already hurting. It’s nice to have the playing field leveled,” says Gidman. The ruling overturned a 1992 Supreme Court precedent that had barred states from requiring online businesses with no physical presence in that state to collect sales tax. Although it’s still unclear exactly what the decision means for our local economy, Greene County Commissioner, Harold Bengsch says it could have a positive impact here in Missouri. “We think it is a good thing because these are tax monies that were escaping from Missouri that should have been received by Missouri and that now has been addressed by the Supreme Court so in that regard, I think it’s a good thing,” says Bengsch. Tea and Spice Market’s Gidman thinks consumers will benefit from a more level playing field. “A lot of people may go online to order teas and spices just because it’s cheaper, but if they realize there’s not going to be a cost difference then they can come out and actually smell the spices and taste the teas,” says Gidman. According to U.S. Supreme Court Justice Antonin Kennedy, last year e-commerce retail sales alone were estimated at $450 billion.